Last week, in my Friday’s Letters, I wrote something so quickly and continued to pray on it later. I am beginning to realize that my Friday’s Letters are much like prayers because sometimes I put things out there in the atmosphere through my writing, doesn’t have to be much to them, and yet God continues to open doors. First, I posted about wanting to either have my own cosmetic line or become a beauty advisor and distribute a cosmetic line – that my friends is coming true as we speak! When I wrote in my Friday Crazies Post a letter to Tyler Perry, I meant that thing. Now, I get to tell you a little bit more about what I meant. First before I get into it – let me just say, I was going to support this film because one of my friends from college, Lance Gross is in it – and I am so proud of how far he has gotten since college and how much Tyler Perry believes in him to continue to give him starring roles. Between friends I know being in movies and my husbands friends producing music for movies like Confessions of a Shopaholic and the like – we must support to create more opportunites. Another reason why I love movies! So, please support – if anything, do it for me! The more we support, the more opportunites we get to see our friends and family hit the big screen – I’m just sayin’. 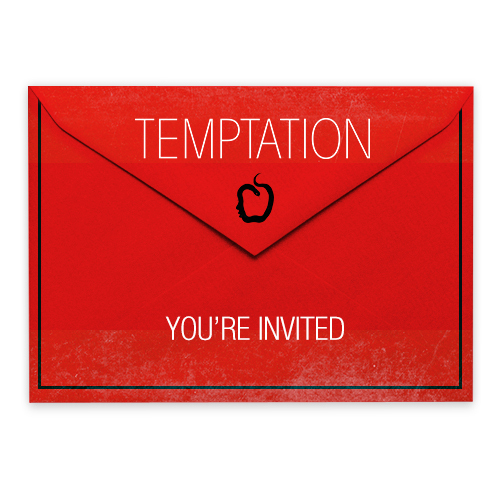 Last Friday we Amos received an invitation inviting him and a guest to a private screening of Tyler Perry’s next film to release, Temptation. Sounded like a fun thing to do. As we read the email together at 6am and all kinds of confused, we see that it is in Atlanta – we don’t live in Atlanta. Well then we kept scrolling through the email and it says, I would love for you to join me and we can discuss the film afterwards signed, Tyler. I’m sorry, WHAT?! Tyler is inviting us to Atlanta? How are we going to get there? Mind you, we have never met him, don’t know him and just honored that the invitation has come as a result of connections that he has made in music. So, time passes through the day, and I text my husband and said “find out if this is real. It really seems like Spam.” Of course other questions go through my mind like, who is paying for these flights for this random trip that is supposed to happen in less then 10 days notice? As he makes the necessary follow up phone calls and emails, turns out that yes indeed – the invitation is legitimate and they are paying all the expenses – thank you Jesus. Well catch me while I faint in panic! WHAT?! So as you can imagine over the last week – I have been getting my hair done and emailing and sending picture texts of every outfit I own to my sister in NYC so that she can style me for this thing. She does this on the regular for her job so she has been a great help. So I can’t wait until my weekend recap because I will be recapping my trip among other things. Dear Hubby, I AM SO HAPPY FOR YOU- praying that your song is the next single, praying that you get this placement on that Christmas album. Hope that the music for the Easter Production turns out so wonderful. Only you can recreate songs that are fully recorded by a band note for note- your like a one man orchestra. LOL. Here’s to a great weekend! Oh BTW, thanks for telling me it was cocktail attire THIS MORNING! when I had been trying on outfits for days and have been asking you for several, what does the attire say?… you in your own fashion this morning said so innocently as I was getting dressed “What’s cocktail attire?” I knew then that you were reading the confirmation email without even looking and I could’ve hit you ( I think I did hit you with my badge one good time) but all I could do is laugh. Dear Tamar and Vince, been rooting for you since this post – congrats on the pregnancy. I know that you waited until you were in your third trimester to tell the world and thats fine. We knew it all along anyways. Dear Jessica Simpson, you had no one fooled – I do not believe that you accidentally slipped and told everyone you were having a boy. I watched you on two shows that day and on both shows you happened to slip. First on Ellen receiving only the boy gifts she gave you then oops you said it on Jimmy Kimmel. Dear Baltimore Ravens, WHAT ARE YOU DOING!? its like we win a Super Bowl then there is a Mass Exodus of our players! See what you did Joe!? You better be worth your weight in Gold. Dear Sean Lowe, really?! you are doing the most – have several seats. You have been on ABC for two years straight. Next thing you know, you’ll be a co-anchor on Good Morning America or something. I wonder if Catherine even knew what she was getting herself into. Dear Pope Francis, welcome. Not that I am Catholic or anything but you were fun to watch come from behind the red curtain – like the end of the Wizard of Oz. Dear Hair Company, thank you for your interest in me – I know I change my looks often and could do your product some good promo. Let me see – perhaps this will be my next venture. Dear God, You are AMAZING! Keep doing what you are doing – I am throwing myself out there to the universe so that wherever I may land is what you have for me. Dear Followers/ Readers, slow and steady you have come to see about me. Lets hit that GFC 200 mark so that I can begin to pour out some of these residual blessings! Thanks Cece, I really don’t know what the point of clicking follow will be since they are getting rid of reader. UGH! Dear Blog Friends, Thanks so much for your prayers for my family. It was really appreaciated. It was definitely more emotional then I bargained for due to family traditions so your prayers and emails definitely helped distract while I was away. Dear Faith, YOU ARE AMAZING! To write such a sweet thing -“ And there are some people who souls just make you want to be a better person. That’s how I feel when I read Adrienne, Maria, Kasey and Jasmine’s blogs. Maybe it’s the thoughtful comments they leave on my blog that leave me feeling this way but they shine and not everyone can do that via the Internet.” I am so touched forreal. I said it a few posts back that I was going to talk about some of my favorite bloggers – trust you already know that you are in the number. We still must eat Sushi together! Dear Google, I am sick of your changes! How in the world are you going to get rid of Google Reader?! How am I supposed to read all of my faves really quickly and easily. Thanks for nothing! Good luck to your husband with that album! How amazing would that be? Wow!!! SO much good in this post! I'm so excited for you and hubby!! The whole Tyler Perry bit has me with my mouth wide open! So awesome!! And don't even get me started with google reader. So annoyed!!! Hi, visiting from the blog hop, Congrats to you and your hubby!!! What a blessing!God is awesome! New follower looking for a great connect! You're coming to my hometown!!! I absolutely love living in Atlanta. I don't think I would be able to sleep knowing that I was going to Tyler Perry's house. That's CRAZY! I love that you're so supportive of your hubby and his music career. That's awesome! Have a great time! Oh, are you on Instagram? I'd love to follow you and are what you going to do while you were here!